This is the story of how a small SOE unit led by Patrick Leigh Fermor kidnapped a German general on the Nazi-occupied island of Crete in 1944. For thirty-two days, they were chased across the mountains as they headed for the coast and a rendezvous with a Royal Navy launch waiting to spirit the general to Cairo. Rick Stroud, whose Phantom Army of Alamein won plaudits for its meticulous research and its lightness of touch in the telling, brings these same gifts to bear in this new project. 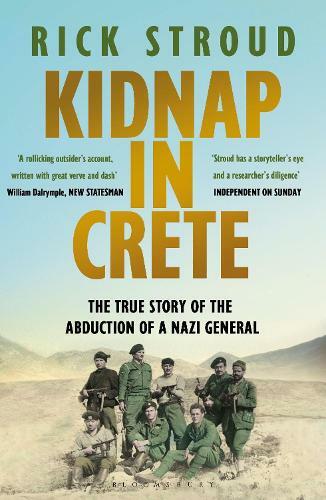 From the adrenalin rush of the kidnapping, to the help provided by the Cretan partisans and people, he explains the overall context of Crete's role in World War Two and reveals the devastating consequences of this mission for them all. There have been other accounts - notably Ill Met By Moonlight by William Stanley Moss (Leigh Fermor's second in command), which was later made into a Powell and Pressburger film, starring Dirk Bogarde - but Kidnap in Crete is the first book to draw on all the sources, notably those in Crete as well as SOE files and the accounts, letters and private papers of its operatives in London and Edinburgh.